One of the best ways to make sure that your home is using water efficiently is to install high efficiency faucet aerators in your sinks, but how do you know which aerators to get? According to the EPA a lavatory (bathroom) faucet can only be WaterSense Certified (meaning it’s a high efficiency faucet) if it has a flow rate between 0.8GPM and 1.5GPM. 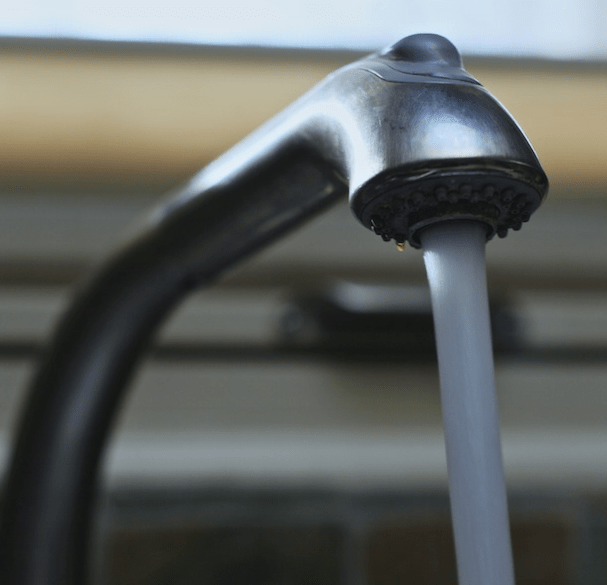 A crucial piece of information if you want your home’s faucets to use water as efficiently as possible, but how does one determine what their faucets are currently using? After all, if you’re going to be swapping out your aerators you want to make sure that you’re getting ones that will actually reduce your faucet’s flow rate. Sometimes, but not often, in really teeny weeny font, the flow rate will be etched into the water fixture itself. However, if it isn’t, there is a pretty easy to way to figure this out. 1. Take your flow rate bag and place it underneath your faucet. You want to be sure that the nozzle of the faucet is completely inside the flow rate bag. If it isn’t, you’ll get inaccurate reading. 3. Check the bag to see how full it is. Now all you have to do is look at the side of the bag to see where the water line is. That’s it. You now know the flow rate of your faucet. Check out this video to see just how easy it is. It also, of course, works for hoses, showers, and pretty much anything else that emanates water. The next step in the process will be to install a more efficient faucet aerator for your sink (we recommend one that is 1.5 GPM or less). Don’t worry, installing a new faucet aerator is just about as easy as testing the water flow rate itself. Just check out this article on how to install a faucet aerator. If you’re looking for more ways to save money and water throughout your home, be sure to check out our green home improvement projects: Green Living Ideas, after all, is a top 20 home improvement website! Flow Rate Test Bag instructional video from National Energy Foundation on Vimeo.